According to a recent study, even casual drinking can put your long-term health at risk. Our liver specialist explains the findings. Stopping for happy hour with colleagues after work. Cracking open a cold beer (or two) while watching the game. Meeting up with girlfriends for a glass of pinot noir. Having an alcoholic beverage of choice is a common way to unwind. But according to a recent study, even casual drinking can put your long-term health at risk. 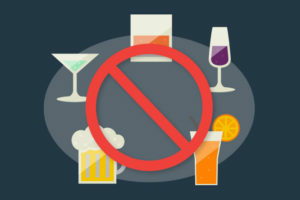 Liver specialist Jamile Wakim-Fleming, MD, did not take part in the study, but says the research found that alcohol was a leading risk factor for both disease and premature death. The study looked at global data from hundreds of previous studies and found that for all ages, alcohol was associated with 2.8 million deaths each year. Researchers found that alcohol-related cancer and heart disease, infectious diseases, intentional injury, traffic accidents and accidental injury were some of the leading causes of alcohol-related deaths. But isn’t alcohol good for your heart? Dr. Wakim-Fleming says people often believe that a little bit of alcohol, wine in particular, may be good for their heart. But the study results didn’t show any health benefit to drinking any amount of alcohol. She says this information, along with previous research that has shown more young people are dying from alcohol-related liver disease, indicates that excessive drinking among young adults is a growing problem. And like any substance-abuse problem, Dr. Wakim-Fleming says the damage to the body from alcohol increases over your lifespan. Dr. Wakim-Fleming notes that anything we do in life involves risk, but it’s important to know what the risks are so that we can make the best decisions for our health. Complete results of the study can be found in The Lancet. Should You Believe the Coffee-Cancer Hype?